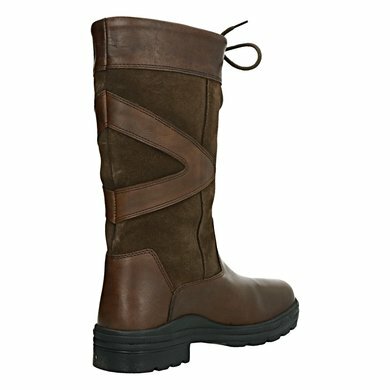 Short outdoor boots with nice effect of leather and suede with wool lining of both foot and shaft. Boots are completely water-repellent and waterproof because the boot is provided with a waterproof membrane between the outer fabric and the inner lining. The anti slip sole is made of TPR rubber. 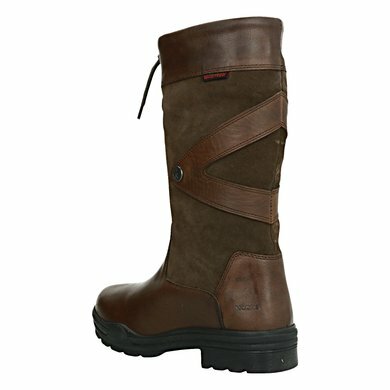 One of the most sold outdoor boots! 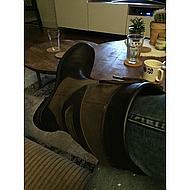 Waterproof outdoor boot fur lined. 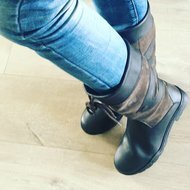 Warm winter boots. 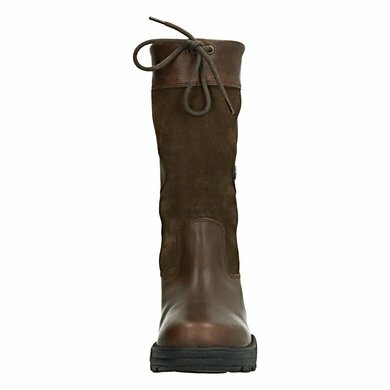 Sit very well with a soft and warm inner lining. Fine to clean and waterproof. Recommended. Really great things. Sit as poured and super hot! Never had cold feet with the snow and freezing cold. Also well waterproof, wear them every day! Are also a good height and do not run heavily. The only thing that is unfortunate is that I do not manage to tie them closer to the top, causing hay to fall into them. 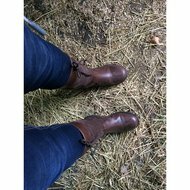 Feet are very different, but no matter how nice the boots are, the fit is unfortunately not to your liking. Foot is too loose, so the heel does not connect firmly and they are not pleasant for prolonged use (tired feet after a while wearing). The size of the boot is just right. Not too big or too small. 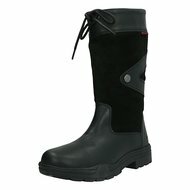 Just a nice boot for the stable, you keep warm feet in it. Question: You describe that the new variant is watertight up to the shaft. Is it about the boot as offered now? 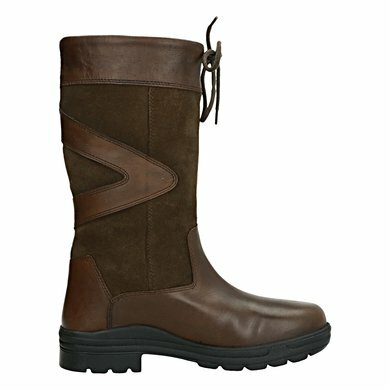 Question: Day, The accompanying text on this boot is as follows: the boot is water-repellent. And therefore NOT? 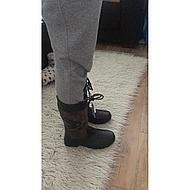 suitable for walking through puddles. 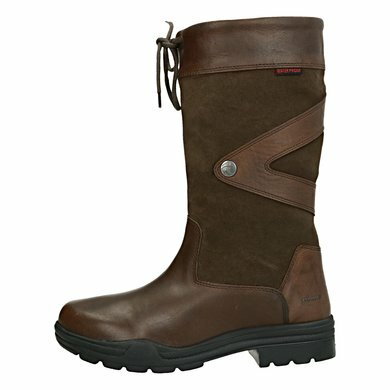 Now I would think that water-repellent means that the boot prevents water. Or am I wrong now? Thank you! Answer: There is a difference between water-repellent and waterproof. Water repellent, for example, can withstand light rainwater, but when walking in a puddle there is a chance of water penetrating into the boot through the seams. 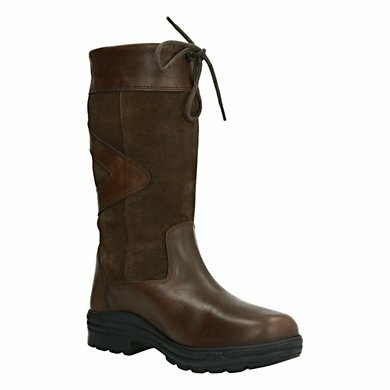 The seams of this boot are not waterproof. 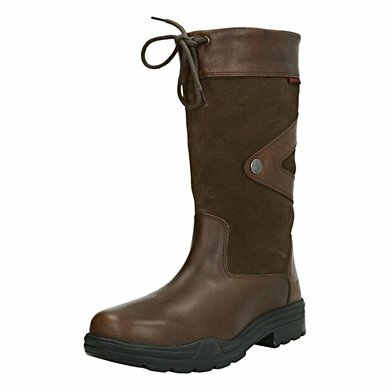 With waterproof boots it is possible to stay in a puddle without wet feet. 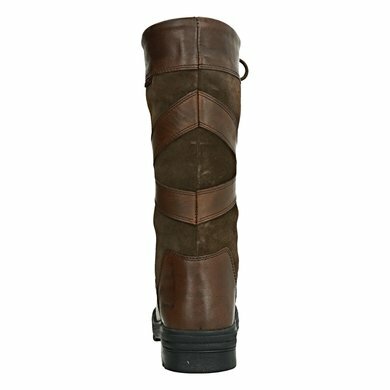 Question: Is there a size chart available to see what the measurements in cm mean for this boot? Are they big or small? Answer: Unfortunately there is no size chart available, Horka falls normally in terms of foot and the shaft is also average.